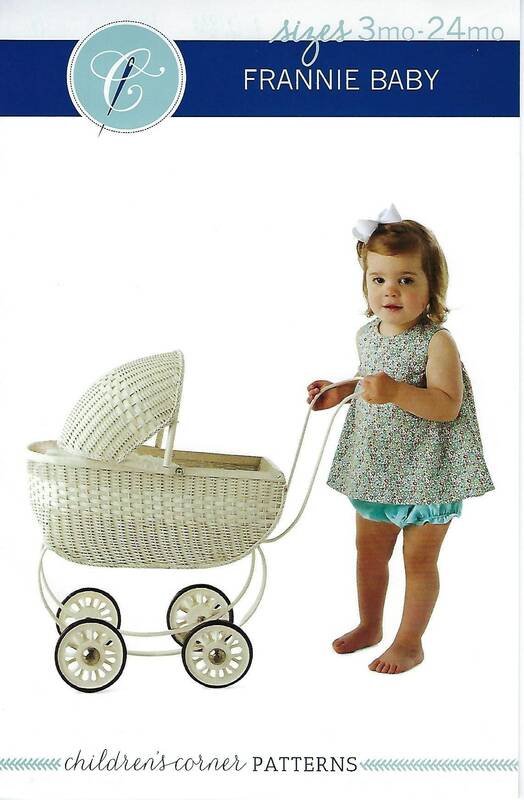 FRANNIE BABY is a two-piece swing top and bloomer set perfect for everyday play. Adjustable fullness gathered under the arms can be made with fabric ties or elastic. The fully-lined top has one button in the back and can be made with Peter Pan collar. 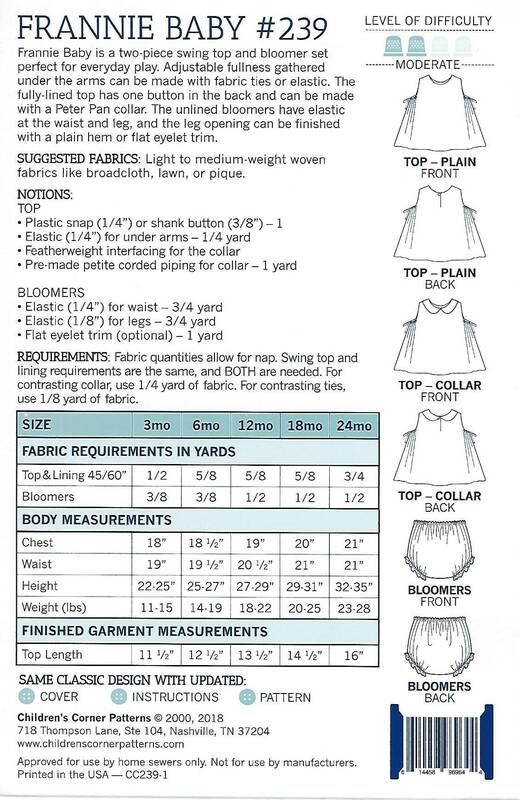 The unlined bloomers have elastic at waist and leg, and the leg opening can be finished with a plain hem or flat eyelet trim.